In 2019 Estonia will festively celebrate the 150th anniversary of the song celebration – the first song celebration was held in Estonia in 1869. This summer the song celebration will take place for the 27th time and dance celebration for the 20th time. The Estonian Song Celebration is a tradition, also listed in UNESCO listed treasures, that dates back to the year 1869. 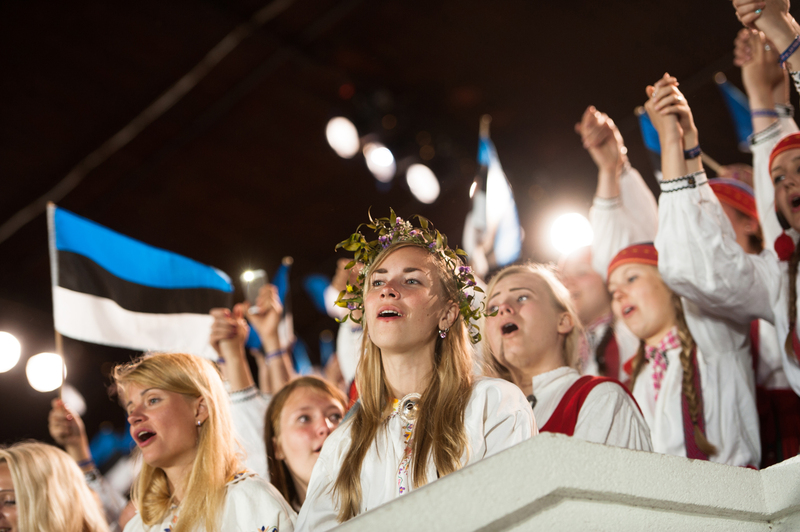 In almost 150 years, the song celebration has had a significant effect on the development of Estonian identity and politics. The tradition has enriched the Estonian language and culture. More than once has it encouraged the population to oppose the occupying forces while pursuing the wish for freedom and self-determination. The title of the song and dance celebration that will take place this summer My Fatherland is My Love is a verse from a song of the same name that has become the hymn of the song celebrations; the piece was written by Lydia Koidula and published at the time of the first song celebration. The guiding principle of song celebration conveys important values – the keeping of one’s culture and traditions and the love of the Estonians towards their fatherland. The celebrations start with a festive procession on July 6th at 1 p.m. that will proceed from the Freedom Square in the centre of Tallinn to the opening concert of the song celebration at the Tallinn Song Festival Grounds. The procession is 5 kilometres long and the roads in the centre of Tallinn and around the Song Festival Grounds are closed to traffic at the time of the procession. All of the participants of the song and dance celebration will take part in the procession divided by counties and everyone can watch the procession free of charge. The festive opening concert of the 27th Song Celebration with the title To the Teacher will take place on July 6th at 7 p.m. 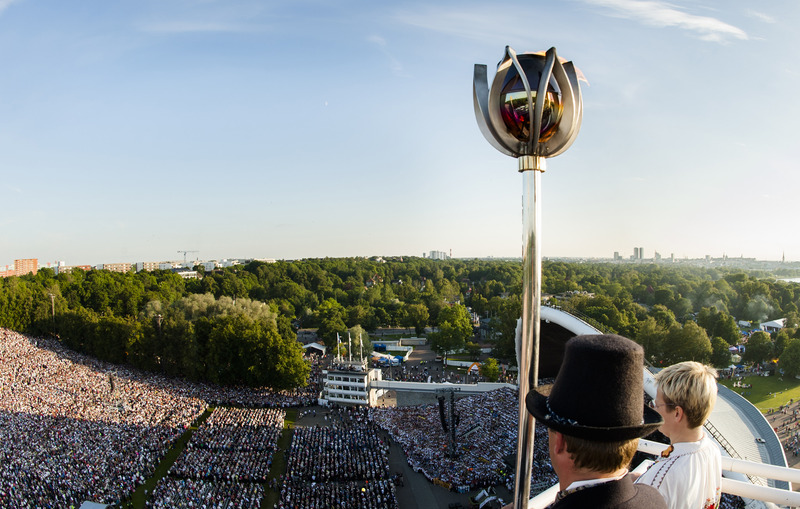 The concert will begin with the opening ceremony during which the flame of the celebrations will be lit in the tower of the flame and the President of the Republic of Estonia will give a speech. Selected choirs that will perform choral and orchestral music of high artistic level entwined into a programme arranged by the different schools of Estonian composers will take the stage. The concert that will last about three hours will give an overview of the history of Estonian music of 150 years and will finish with songs that will be sung jointly by both the audience as well as the choirs. The concert will be held at the Song Festival Grounds in the open air. The audience will have to take into account the weather conditions and in the event of rain we kindly ask the audience to wear waterproof clothes – umbrellas are not permitted as they impede the other audience members’ visibility. The entrance to the concert is subject to a fee or invitation. The Song Celebration will take place at the Tallinn Song Festival Grounds on July 7th at 2 p.m. Different types of choirs will take the stage one by one (children’s choirs, boys’ choirs, mixed choirs, orchestras etc.). The concert will last about six hours. The concert will be held at the Song Festival Grounds in the open air. The audience will have to take into account the weather conditions and in the event of rain we kindly ask the audience to wear waterproof clothes – umbrellas are not permitted as they impede the other audience members’ visibility. The entrance to the concert is subject to a fee or invitation. Join the celebrations! Spread the word and buy your tickets now!